Vinyl siding is the most popular choice for remodeling and new construction – and for good reasons! It can add warmth, value and curb appeal to your home. The woodgrain textures and deep shadows give your home an authentic, old-world look without the costly, time consuming maintenance. Vinyl won’t split, peel or rot and because the color goes clear through the panel, it doesn’t need to be scraped, stained or painted either. Drawdy Roofing & Vinyl Siding offers a wide variety of Vinyl Siding, so whether you demand the highest quality and performance or you’re looking for value without compromise, there’s a siding system to meet your needs. 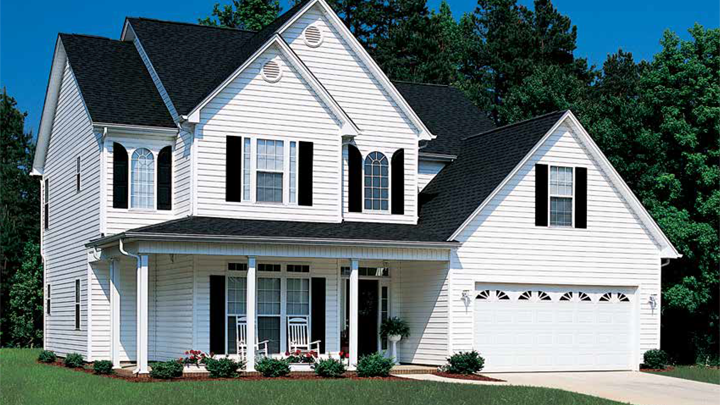 Our two most popular Vinyl Siding products are; Norandex Summit Manor and Alside Coventry. Both are high quality products with affordable pricing and a proven return on investment. Learn more by clicking the links below. If you would like more information on additional types of Vinyl Siding we offer please give us a call or fill out the contact form on this site. Download Norandex Summit Manor Siding PDF here. Download Coventry Vinyl Siding PDF here.